Warushavithana Upul Tharanga (born 2 February 1985), commonly known as Upul Tharanga (Sinhalese: උපුල් තරංග), is a professional Sri Lankan cricketer, and the current captain for Sri Lanka for ODI and T20Is, who plays for all formats of the game. He is a left-handed opening batsman and occasional wicket-keeper. Tharanga along with Sanath Jayasuriya holds the record for the highest partnership for the first wicket in One Day International (ODI) history with 286 runs. 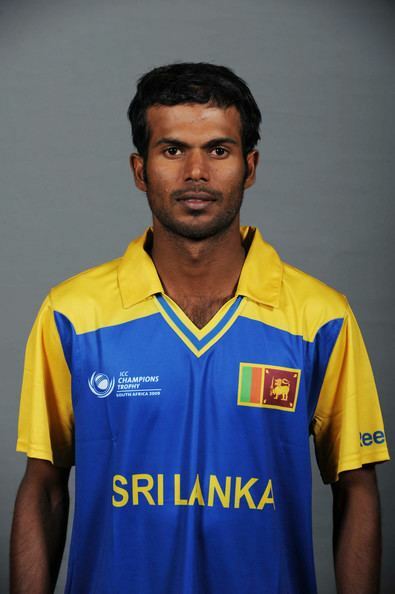 Born on 2 February 1985 as the youngest of the family, Tharanga was born at Balapitiya General Hospital. His father Warushavithanage Bhadrasoma was a fish market dealer. His mother R.J Padma is a housewife and Tharanga has one elder brother Nuwan Tharanga and one elder sister Kumesha Manori. Though his brother used to enjoy swimming, Tharanga choosed cricket at the younger age. He first attended Devananda College, Ambalangoda, and passed grade 5 scholarship in 1995. Since then, Tharanga had his secondary education at Dharmasoka College, Ambalangoda until ordinary level. However with many cricket tours, he could not complete education towards advanced level. He started his cricket career as a teenager at his school. Having played for Nondescripts since the age of 15, he played for Sri Lanka's under-15, under-17 and under-19 squads. He had a successful under-19 World Cup in 2004 with successful innings of 117 and 61 in successive games. He was sent by the Sri Lankan cricketing board to play league cricket for Loughton Cricket Club in Essex. Tharanga's Sri Lankan call-up occurred on July 2005 when Sri Lanka was devastated, and after his family home was washed away by the 2004 Tsunami tragedy, where only the foundation of the house was left. His equipment, which was also washed away, was replaced by Kumar Sangakkara. 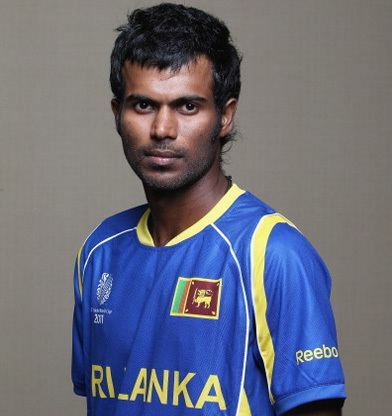 Tharanga graduated to the "A" team and in July he was selected for the full squad. On the 2006 tour of England he really began to develop, particularly in the one-day game, scoring over 300 runs in Sri Lanka's 5–0 whitewash of the hosts. In addition, Tharanga is also well known for taking part in a record-breaking first wicket partnership with Sanath Jayasuriya in the final match of this series. He finished off with 109 off 102 balls, and played a pivotal role in completing the whitewash against England in England for the first time. Tharanga lost his form in the 2007 World Cup scoring only one half century (against New Zealand) he then continued his poor run of form in the home series against England in 2007 where he failed to contribute and often fell before the 10th over often resulting in a middle-order collapse. Subsequently he lost his ODI place to Malinda Warnapura and his test place to Michael Vandort but he remains within the squad. However, in the 2011 World Cup, he is back to performing remarkably. In the quarter-final game against England, his partnership with Tillakaratne Dilshan, wrapped up the game, each acquiring centuries. His strong form has returned him to the opening position in the strong Sri-Lankan batting line up. He has also come in for special praise from Jayasuriya, one of the legends of cricket, saying that he could be the next captain of the Sri Lankan cricket team. 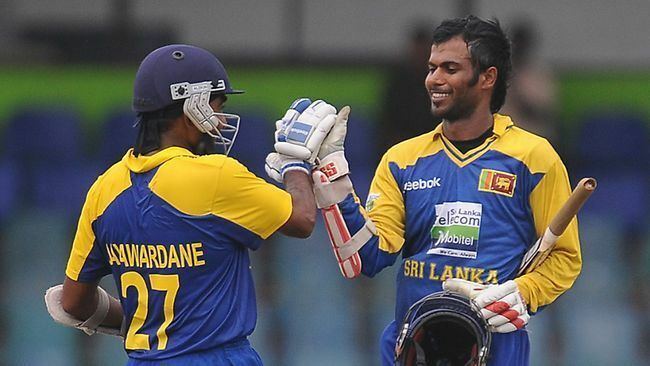 Upul Tharanga is the second batsman in the world who was involved with 7 times 200+ partnerships in ODI cricket. The only other player to achieve this feat is Ricky Ponting. On 2 July 2013, Upul Tharanga scored the second highest ODI score of 174* by a Sri Lankan only behind Sanath Jayasuriya who scored 189 against India. With that innings he became the 9th Sri Lankan player to pass 5000 runs margin. Despite of his low match participation, he has earned 13 centuries and 11 man of the match titles for his name throughout his international career. After 8 years of scarcity for Test cricket, Tharanga was called to the third Test match against Pakistan on 3 July 2015. He was used as the replacement for Kumar Sangakkara who did play for first two Tests, but not to third Test at Kandy, due to his retirement consideration during India tour. He scored 46 runs in the first innings and 48 in the second innings. However, Sri Lanka lost the series by 2-1. Tharanga holds the record of waiting for maximum number of days between two test centuries. Since World War-2 it is the longest gaps between Test centuries by a player. Tharanga, who had a long ODI scarcity, was included to the ODI squad against Pakistan. Due to the retirement of Kumar Sangakkara, the number three position had a vacant and Sri Lanka cricket selected Tharanga for the crucial number three position in ODIs. Due to multiple injuries of usual captain Angelo Mathews, Tharanga was selected as Sri Lankan captain, to lead them in ODI tri series in Zimbabwe on 5 November 2016. On 14 November 2016, he led Sri Lankan team for the first time in an ODI against Zimbabwe, which was won comfortably by 8 wickets. At the end, Sri Lanka won the tri-series by defeating the hosts Zimbabwe in the final by 6 wickets.Tharanga was also the 19th captain for Sri Lanka in ODIs. 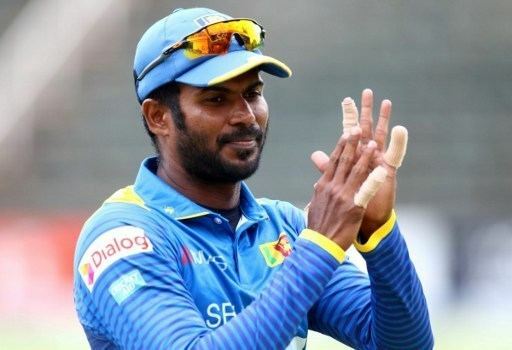 Tharanga was selected again as the ODI captain for the South Africa series, when Mathews was not available after he sustained an injury during the second T20I. However, South Africa outplayed in all 5 ODIs and whitewashed Sri Lanka for the first time. On 9 February 2017, Tharanga was named as the T20I captain for Sri Lanka during the 3-T20I tour for Australia, where stand-in captain Dinesh Chandimal was ruled out from the tour due to poor performances. Tharanga was also the 8th captain for Sri Lanka in T20Is. Under Upul Tharanga's captaincy,Sri Lanka went on to win the T20I series against Australia in Australia,which means this was the record 3rd consecutive time Sri Lanka managed to win the T20I series against Australia in Australia. On 28 March 2017, he played in his 200th ODI match, when Sri Lanka played Bangladesh. In the match he scored his 31st fifty, but finally match ended in no result due to heavy rain. With the calf injury of Mathews prior to 2017 ICC Champions Trophy, Tharanga was named stand-in captain for the first group match against South Africa. However, Sri Lanka lost the match by 96 runs and due to slow over rate, Tharanga was fined with two matches after four-hour innings and disqualified for rest of the pool games against India and Pakistan. Though he was appointed several times as the captain, it was only temporary due to the injury concerns of captain Mathews. However, after the major loss to Zimbabwe in home soil for the first time, Mathews' captaincy was questioned by many critics. The result was, Mathews stepped down from the role in all formats on 11 July 2017. With that, Tharanga was named permanent captain of the limited over formats for Sri Lanka. Tharanga lead Sri Lanka on day 4 in the first test against India on 28 July 2017, where stand-in captain Rangana Herath was injured while playing in the match. However, Sri Lanka lost the match by 304 runs, which is the biggest loss by Sri Lanka in term of runs in tests as well. In the second ODI against India on 24 August 2017, Tharanga was penalized for slow over-rate, and suspended for two ODIs. This was his second time in three months that penalized due to slow over rate as well. 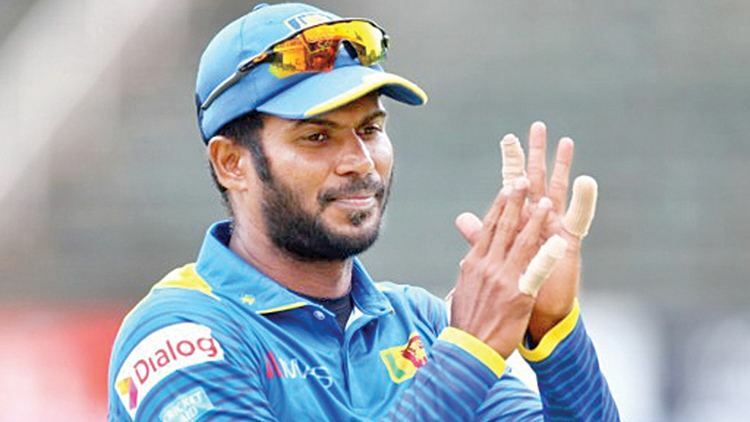 A urine sample provided by Tharanga after the world cup semi-final against New Zealand on 29 March 2011 was found to have metabolites of two glucocorticosteroids – prednisone and prednisolone, which are banned by the World Anti-Doping Agency. Tharanga initially claimed he had taken some medication for asthma and had no idea it was a banned drug. An independent anti-doping tribunal was convened at which Tharanga pleaded guilty, claiming he had taken some herbal remedy to ease discomfort caused by a long-standing shoulder injury. 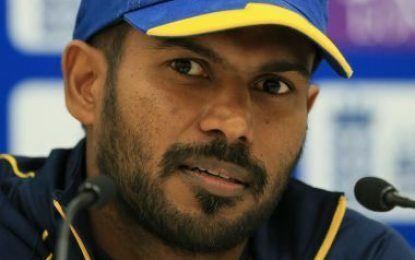 The tribunal accepted that Tharanga "had no intention to enhance his sporting performance or to mask the use of another performance enhancing substance, but that he had failed to satisfy the high levels of personal responsibility implicit upon him as an international cricketer subject to anti-doping rules". The tribunal found Tharanga guilty of breaching the ICC Anti-Doping Code and banned him from all cricket and cricket-related activities for a three-month period (9 May 2011 to 8 August 2011). In his third Test match he scored his first Test Century in Shaheed Chandu Stadium, Bogra. Tharanga made his ODI debut against West Indies in 2005. He scored his first ODI century back in 2005 against Bangladesh scoring 105 in R. Premadasa Stadium in Colombo. His highest ODI score came in 2013 against India where he scored 174 Not out at Sabina Park, Kingston, Jamaica. It's the second highest score by Sri Lankan in ODI after Sanath Jayasuriya's 189. As of 6 May 2017 Tharanga has scored three Test centuries and fourteen ODI centuries.